This weekend we received a “Weekend Box” from the Weekend Box Club to review. This is a fortnightly activity box aimed at 3 to 6 year olds, which is delivered directly to your home. The aim behind the box is to create high-quality activities for parents and children to enjoy together. Before the box arrived, I was really pleased to have an email telling me the additional things that I would need for our activities, as well as letting me know that the box was on the way. These were a few ingredients needed for the cooking activity. All of these I already had in the kitchen cupboards, but I appreciated the heads-up as I would have found it frustrating to want to get started on an activity only to find we wouldn’t be able to do it until we had been out to the supermarket. Freyja was really excited to open up the box and find out what the activities were. She loved the fact that this was especially for her, as Emily was too young for all of these activities. There were four activities for us to try. There were also four stickers, each to be stuck on to the instructions card for each activity to show that it had been completed. There was also another sticker to show that all of the activities in the box had been completed. This was a really easy activity to do. I cut out the butterfly shape from the card provided, but Freyja coloured them in, used the glue dots to stick the peg to the card and helped me add the antennae to each butterfly. Freyja had a real sense of achievement when she had completed this activity, I think mainly because it was so simple yet effective that a 3 year old is able to make a recognisable butterfly (with just a tiny bit of help). Freyja needed a bit more help with this one, but she was spurred on by the success of the first activity. I needed to cut out the template and plastic bag to make the kite, and also tie the thread onto kite, but she helped tape the straws onto the plastic to give the kite structure and support. Freyja was keen to get out and try and fly the kite. I think it must have been the least windy day ever. She ran up and down outside with the kite flapping behind her which she was happy to do, but she managed to get it a little higher into the air on Daddy’s shoulders. I have to admit I was quite sceptical about this activity. The popcorn was to be made in a saucepan on the hob – something that I have never done before – from a small pack of kernels. I didn’t expect that we would be making more than a couple of cakes and that Freyja would be a bit disappointed by this. I am not sure if it were Freyja or myself who was more excited by the popping noise from the saucepan, and we were both very pleasantly surprised to find a pan absolutely full to the brim of popped corn. Freyja mixed in the spice mix provided, icing sugar and syrup into the corn and spooned it into cases to make 10 cakes (or quite a generous size!). Freyja was very pleased with the end result – and even Emily was allowed to sample the finished cakes! In this activity we were provided with a simple board game to play and a “blank” board on the back to add our own consequences (such as “Roll the dice again”) on the other. 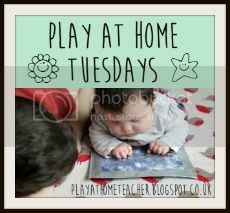 Freyja enjoyed playing the game and made some suggestions for what we should put on our own board – including “Sing a Song” and proving that you don’t want to get on the wrong side of her with a “Go back to the start” just four spaces from the end. This was the least creative activity in the weekend box, but we still had fun together playing together. All-in-all there was a nice mix of activities and Freyja said that she really enjoyed them. They provided some really nice ideas for us to try and I liked having guarantee that the equipment we needed would be there when we needed it. Disclaimer: We were sent the Weekend Box to review for free, but all thoughts and opinions here are my own! The kite was a brilliant idea as not only was there the enjoyment of making it, but Freyja loved trying to fly it. Depends on which activities you got I guess. The nice thing is that each activity sheet has a checklist of what is needed for that activity. Hope it went well! A great set to encourage craft and outdoor play. I love the little kite. Thank you for sharing on Country Kids. Definitely – a really great idea!! Yes – a box for little ones would be a great idea. Although saying that, just a box would entertain my youngest for quite some time! Great fun and so convinent!